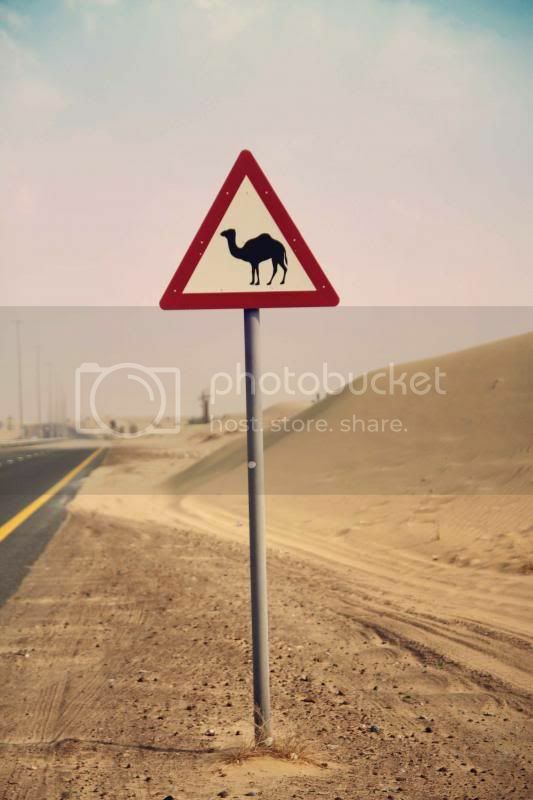 Just outside the city limits there is a proper race track made specifically for camels. Races take place 2 times a week during the racing season and are free to the public. Getting information on the times and location is a bit tricky as it is mostly in Arabic. Luckily we have friends who can translate for us. 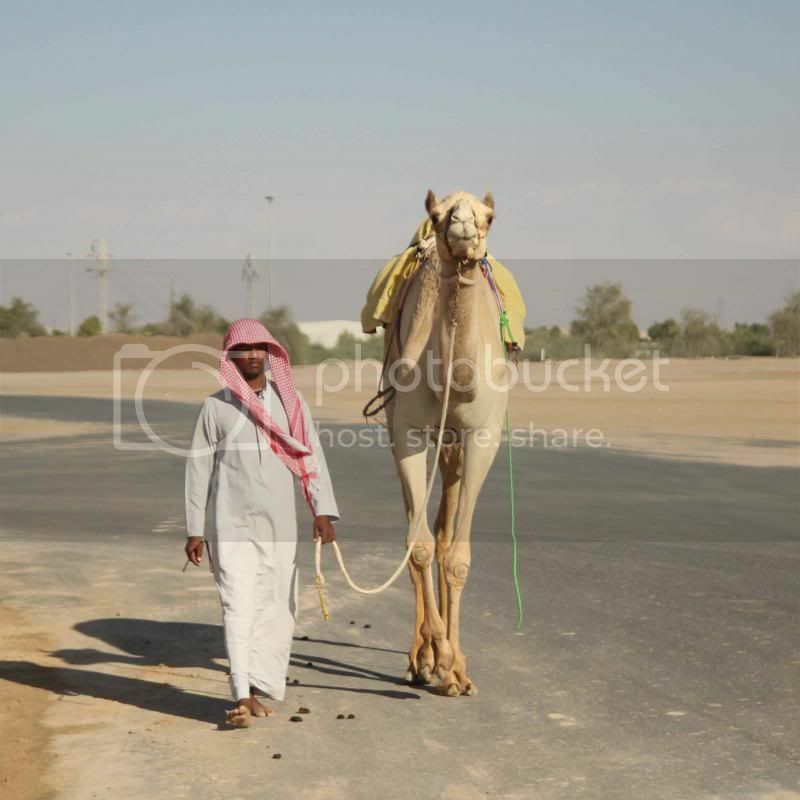 Based on the information, we discovered times of races are not as important as the age of the camels racing. 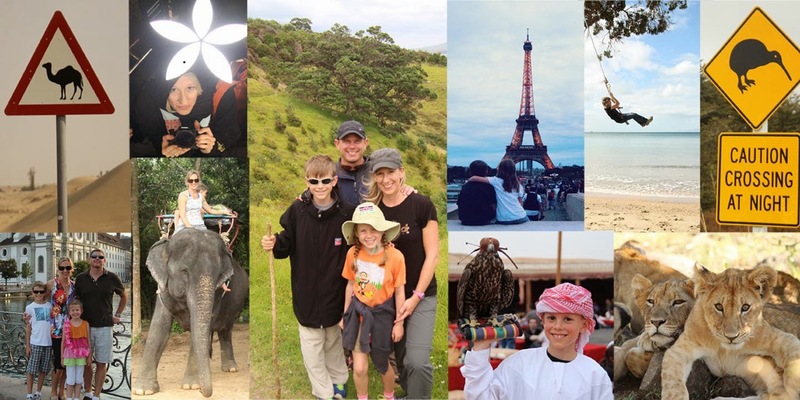 When we arrive we are completely surrounded by camels, locals and other curious expats. 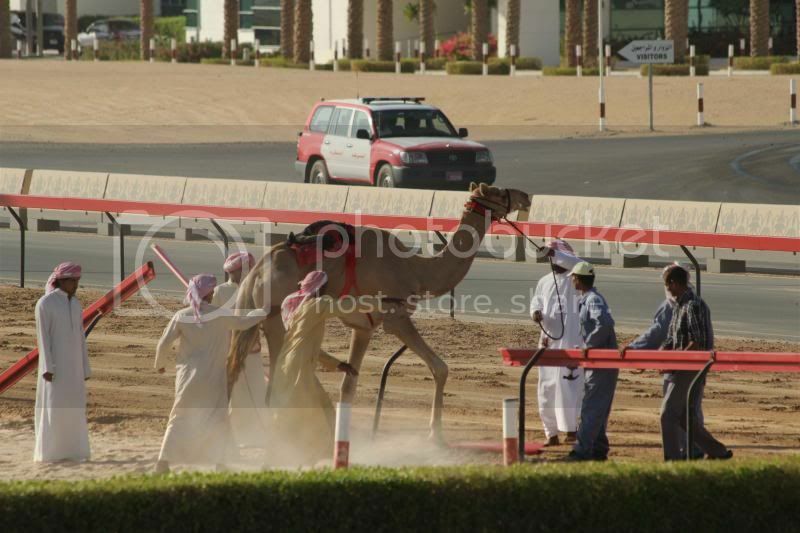 Camel races have been taking place for years. 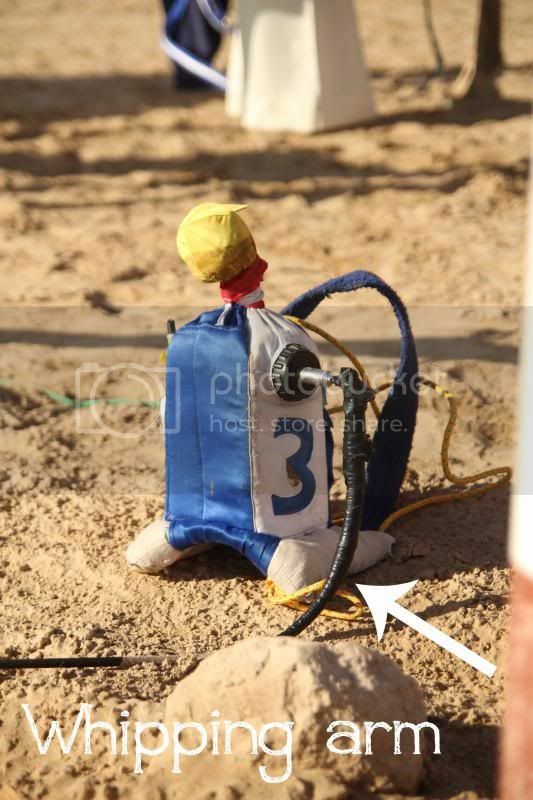 Thankfully the tradition of young children jockeys has been outlawed since 2002. 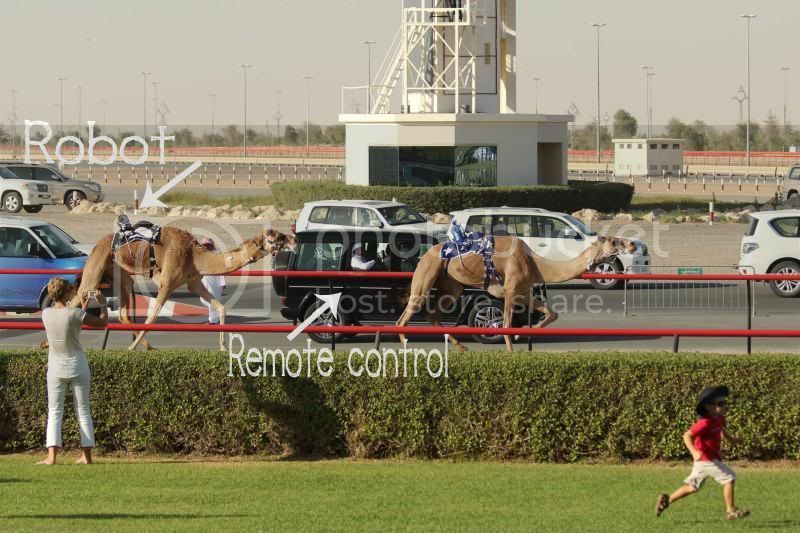 Now camels are ridden by remote controlled robots. We were given a demonstration of how it works. 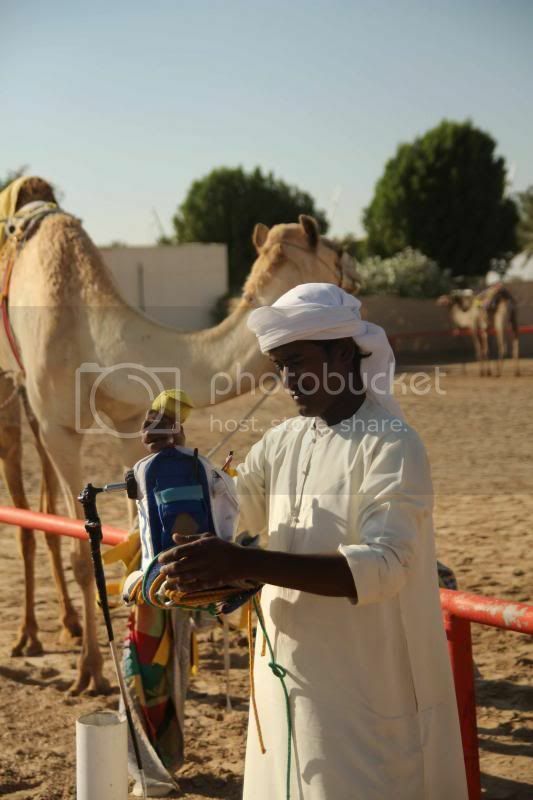 This robot jockey is attached to the camel's back. By remote signal the whipping arm begins turning in a complete circle which results in the camel constantly getting his hide thwacked. A man showed us how it spins, it was so powerful he could hardly hold on to it once it was turned on. i am pretty certain in the States this wouldn't pass PETA's inspection. Camels were everywhere and none of them were muzzled. We were able to reach out and pet one anytime we wanted. 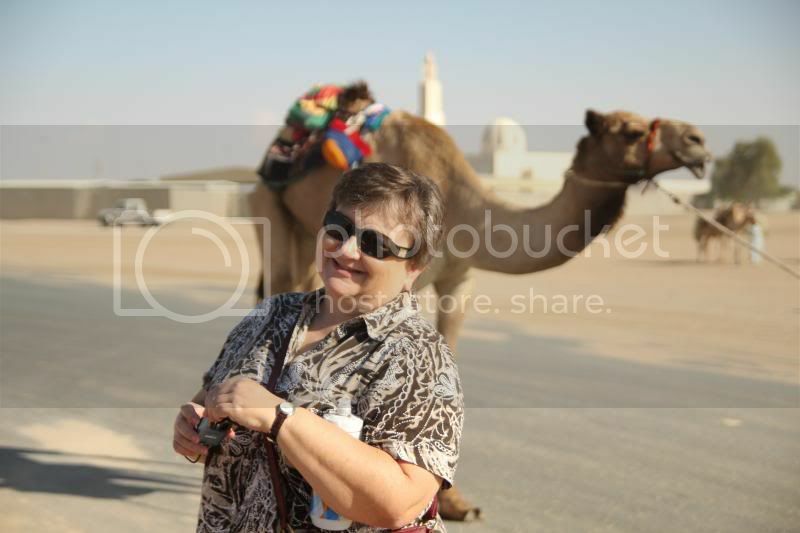 At one point i asked Auntie if she wanted to stand directly next to a camel for a picture. 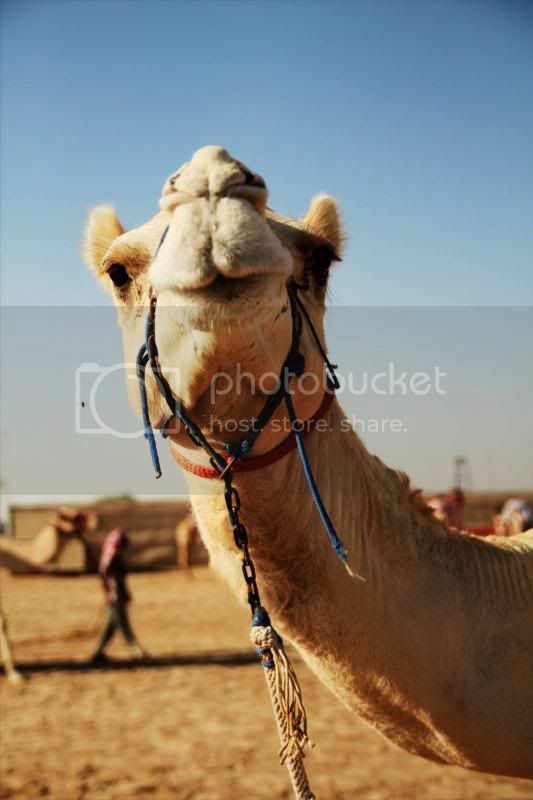 Understandably she said, "No, that's ok." You never know what might happen when you turn your back to a frothy mouthed camel mere inches from you. 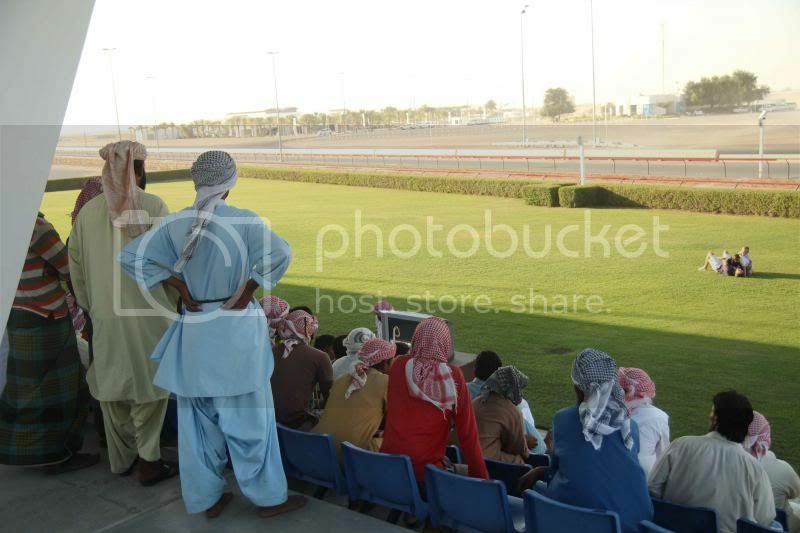 Once seated in the stands, we see the camels on the far end of the race track getting ready to start. We can't actually watch them start. 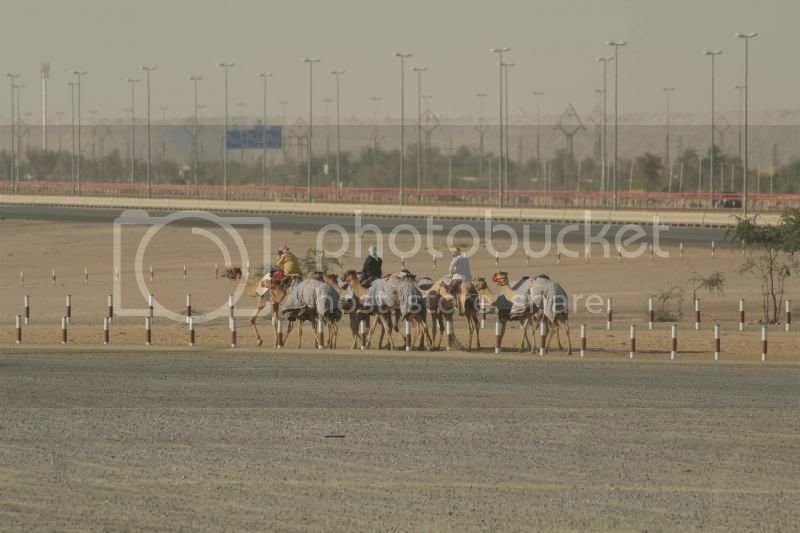 This particular day of races the camels were running 8 km around the track. We sat and waited for them at the finish line. It took about 10-15 minutes for them to reach the finish line from the starting point. 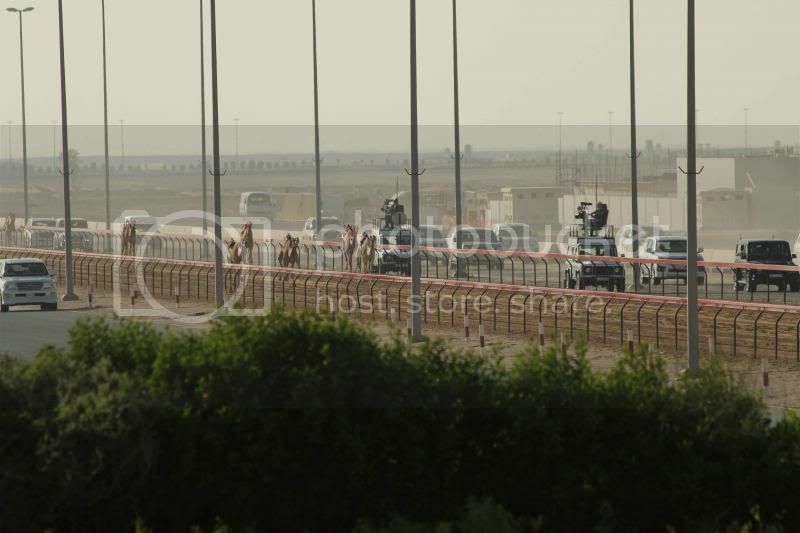 From a distance we see the cars first and then know the camels are approaching the finish line. 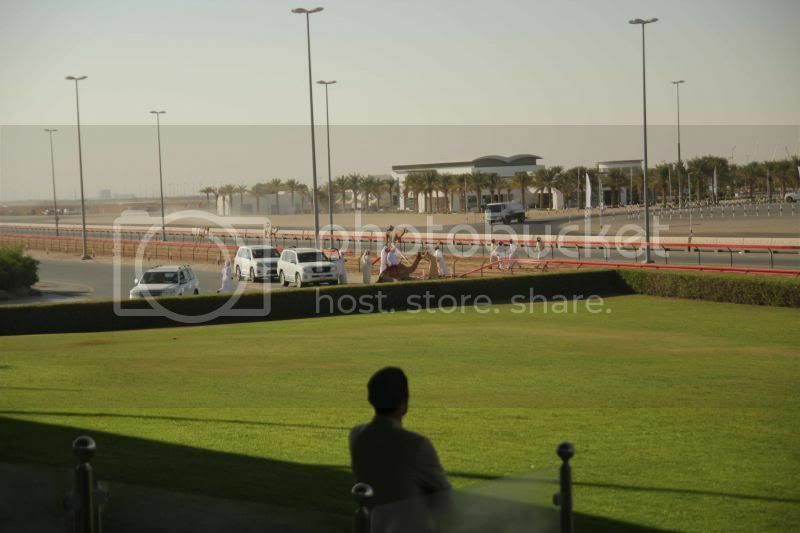 On the outside of the race track, men are driving beside their camel. One is driving the car while another controls the remote to the robot jockey. Our kids were able to stand just yards away from the finish line. 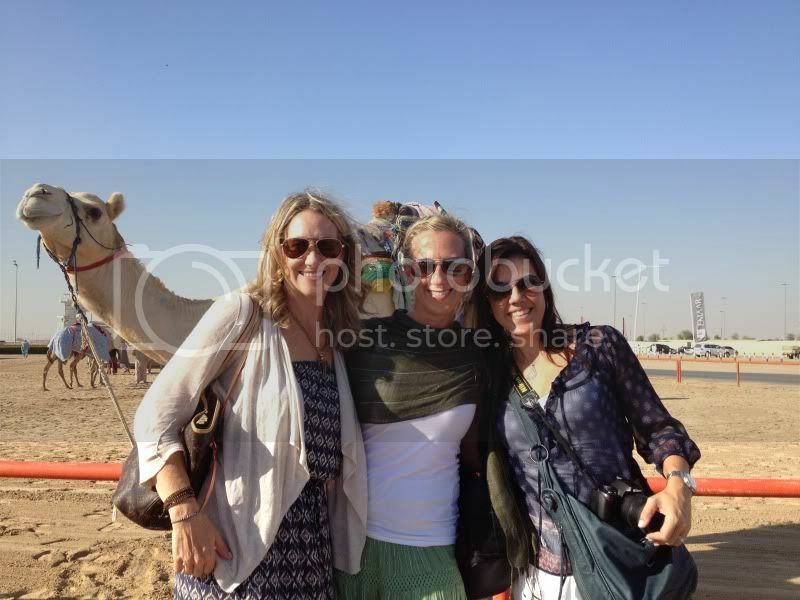 We did witness a camel crash. By the time i had my camera out most of the drama was over. 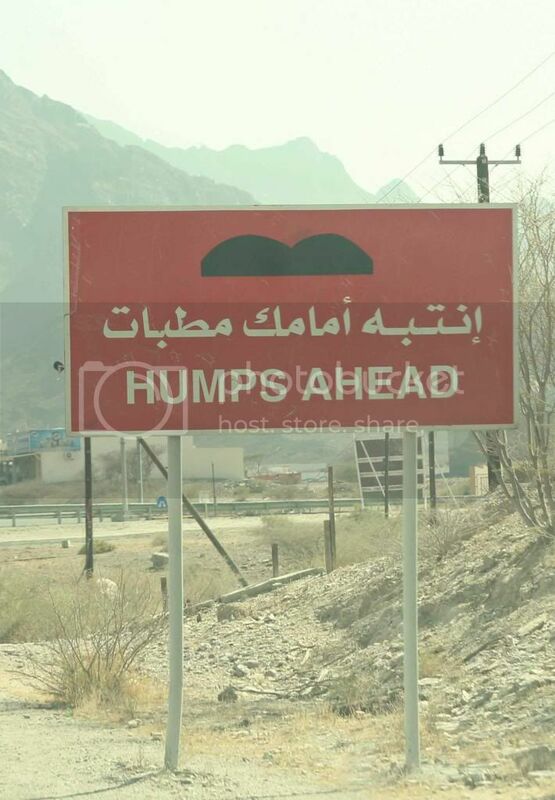 But a camel ran right into the fence and flipped head over heels. He managed to maneuvering himself into a sitting position after the fall. He rested a bit and was able to walk away. 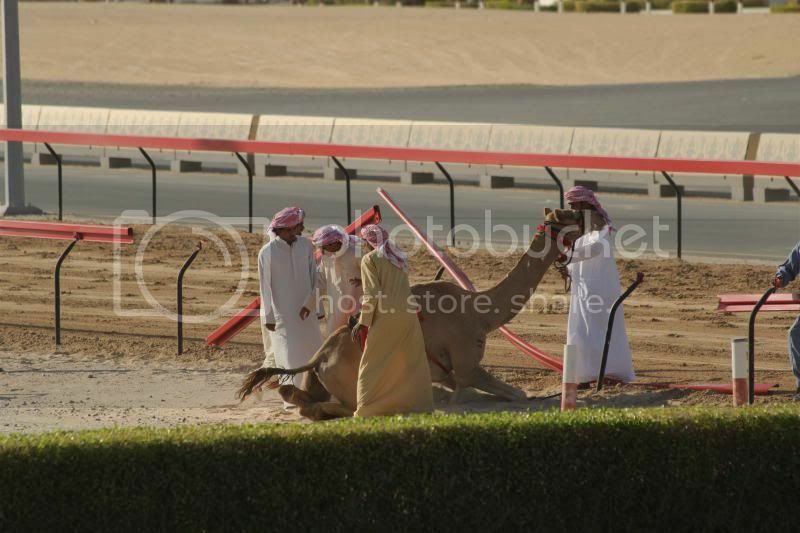 i must admit it was a disturbing sight to see a camel somersault over a fence. The fence was mended and the races continued. 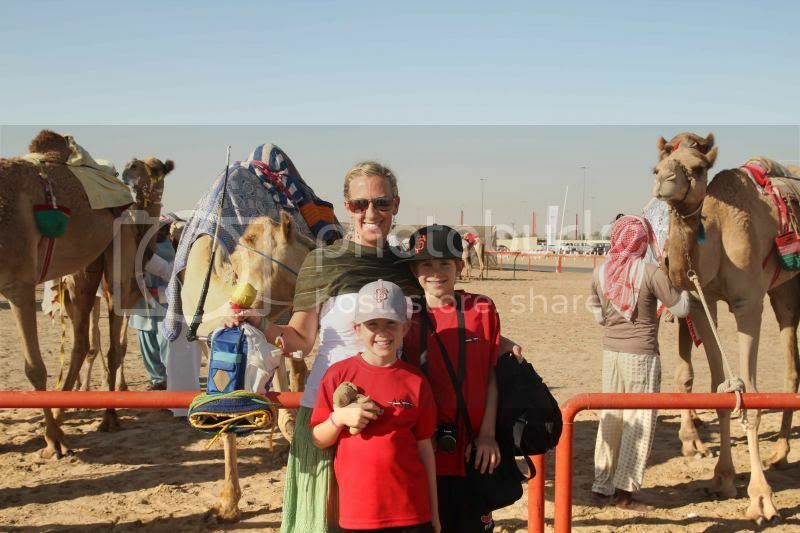 We discovered camel's have really frothy mouths at the end of a race. 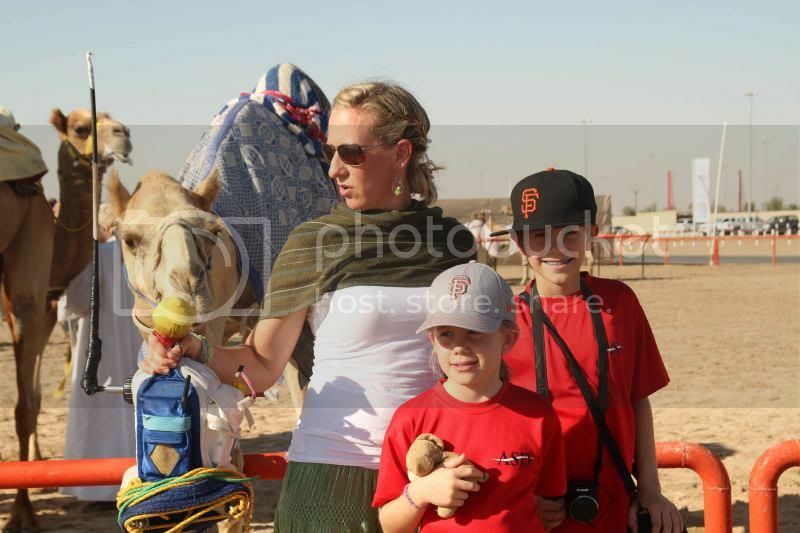 If your looking for some good ole fashioned family fun, camel races just might be for you. 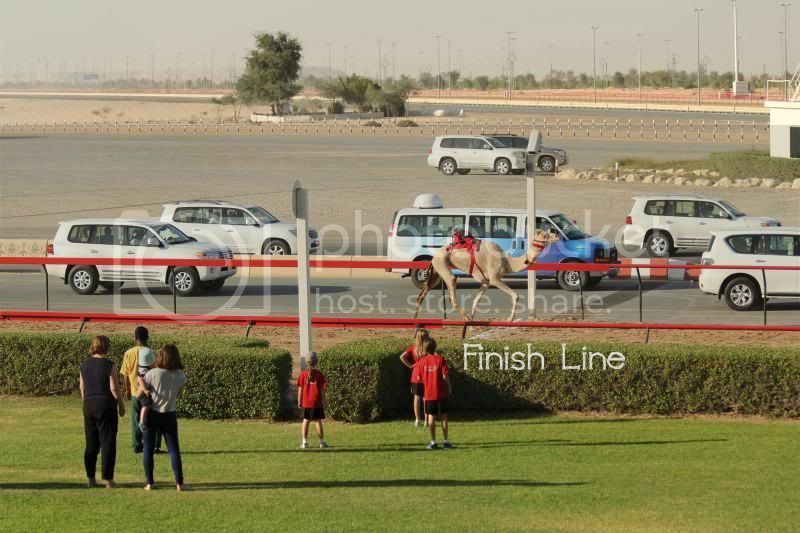 While waiting for the camels to reach the finish line, you can sit patiently in the stands as seasoned camel race attenders do OR take the Westernized approach and wrestle & run around the grass until the camels are in sight. Either way it is show not to be missed! And Auntie from Kansas had a WONDERFUL time!